Spring is here! The long winter months are over and now it’s time to get outside…or is it? For those suffering from allergies, springtime can be like a scene from a horror movie – “Silence of the Lambs”, “Halloween”, “The Birds”. The trees are blooming, the grass is growing, the flowers are budding… and sneezing, congested, runny-nosed and watery-eyed aliens are running everywhere! No, it’s not a scene from a horror movie, it’s seasonal allergies and people with seasonal allergies can be quite miserable. Seasonal allergies are when your allergies act up at certain times of the year. 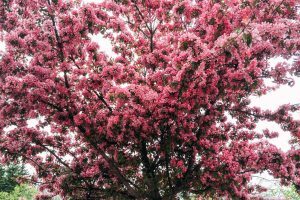 In the spring, pollinating trees are usually to blame for allergies. In summer, grasses and weeds are the main culprits. In fall, it’s weeds, especially ragweed. For those who suffer from mold allergies it usually peaks at the end of summer or early fall but can also be all year around depending on where you live. Medications for allergy sufferers may be the only answer to bring them relief, but did you know that your diet can make a difference how allergies effect you? This means that what you eat can not only help you manage allergies but can make them less horrifying to your system. Bypassing the medications all together is possible. Certain foods can help to decrease the allergy response that your body produces in response to allergens. Giving your diet a boost of nutritious food maybe what you need to fight the zombie like allergic response you experience from seasonal allergies. One of the best foods to boost the immune system and fight allergies is garlic. Studies have long shown that garlic extract can help decrease an allergic reaction and can help prevent an allergy by blocking the production of the chemicals that cause allergic reactions. As little as eating garlic two to three times a week may be beneficial in fighting allergies. Eating fish such as salmon, tuna and other fish high in omega-3-fatty acids is extremely beneficial in preventing allergies or dealing with the reaction of allergies. Fruits and vegetables high in Vitamin C such as citrus fruits, strawberries, red peppers, spinach or broccoli help to control allergy symptoms. Quercetin, a flavonoid found in some foods, is believed to help reduce the inflammation associated with allergies. It is thought that the quercetin prevents immune cells from releasing histamines, or an allergic response. Apples, onions, berries, cabbage and cauliflower all contain quercetin. Other foods that can help those who suffer from allergies are onions, turmeric, local honey, and kefir, which in particular, is loaded with probiotics. What you eat can make a difference in how you feel. Some foods can make allergy symptoms better, and some foods can make allergy symptoms worse. So, when dealing with seasonal allergies, clean up your diet and you might be pleasantly surprised what used to be a horror movie is now no longer.